Get in touch with our friendly customer care operators for a free and non-binding price offer for exterior and interior window cleaning now. Call 020 3746 1366 or fill up the contact form - we will be quickly back to you. Gutter cleaning is a preventive measure that every property owner must take to avoid the clogging of the downpipes and gutters, because it could result in severe water damage to the property. Our gutter cleaners use dry or wet vacuum cleaners and telescopic poles with cameras to locate and remove all of the leaves, twigs and other debris. They will ensure that they clean the gutters and will give you pictures of their condition before and after the cleaning. Ashlee House Cleaning offers a 30 day service quality guarantee. A team of gutter cleaners will re-clean if your gutters get clogged during this period. We have adequately outfitted and trained roof cleaners who are going to use powerful pressure washing equipment to remove algae, mould, lichen, nasty stains and moss from roofs. House roof cleaning is essential if you want your property to look good, and is also important simply because certain harmful growths can basically “eat” and damage your roof if left untreated for very long. Our service is 100% insured and at a great price! For support with cleaning your roof & gutters, bear in mind to book our general window cleaning service right now! We have an easy reservations system for our window cleaning Tolworth KT6 services. You can easily book any day of the year for your window, roof or gutter cleaning. We can show up on the same day whenever you want an emergency service. We have fixed and also reasonable fees. All customers who schedule more than One particular of our services at once will be offered a discount for every extra service. No downpayment is necessary to schedule our cleaning services. We have beneficial fees for frequent clients, property agencies, property owners and for those of you who book early on. 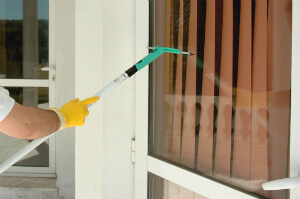 For a professional window cleaning service, do not be reluctant to get in touch with our 24/7 customer care service now at 020 3746 1366 or via our internet booking form. You will be sent written confirmation in the following Two hours.